If your children are in First through Sixth Grade they can earn a free book this summer from Barnes & Noble! 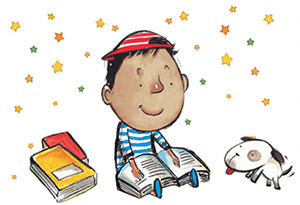 They simply read any 8 books this summer – books may be from the public library, books borrowed from a friend or books bought at Barnes & Noble. Students write about their favorite part in their Barnes and Noble Reading Journal. Bring the completed Reading Journal to a Barnes & Noble bookstore and children choose their FREE BOOK from the list of books found in the Reading Journal. This offer is valid until September 2, 2014.